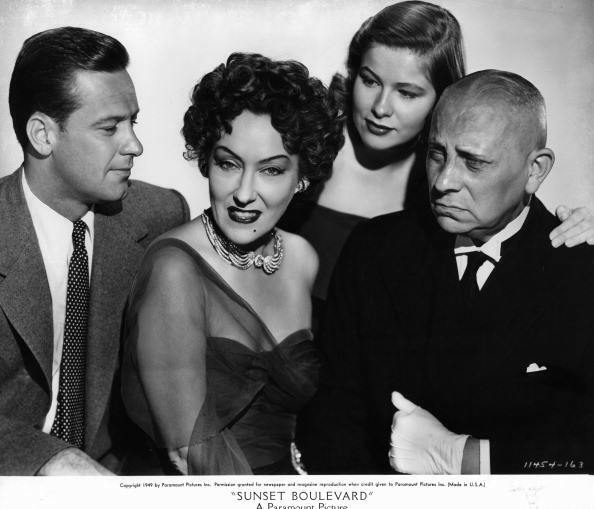 Home › Academy Awards › Nancy Olson’s “Sunset Boulevard” Screening! Hollywood’s Classic Tale Discussed Live! 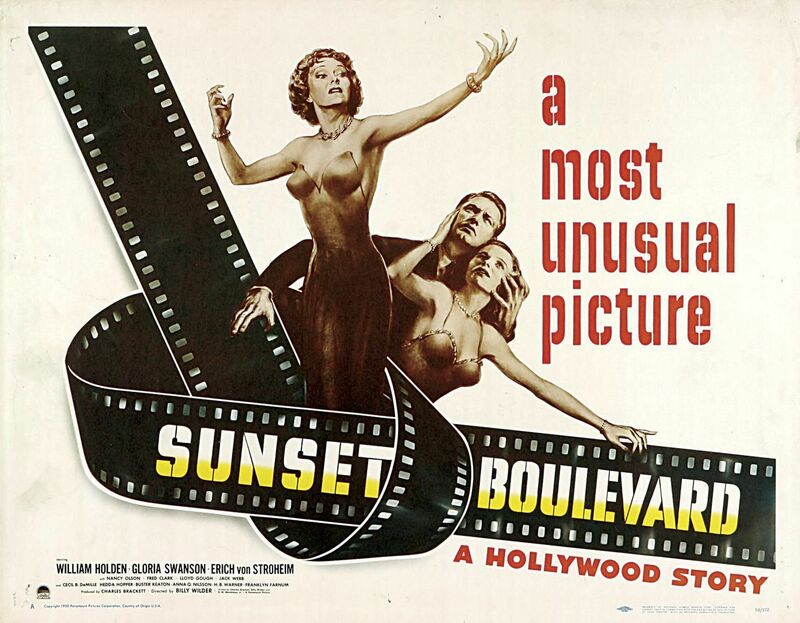 Nancy Olson’s “Sunset Boulevard” Screening! Hollywood’s Classic Tale Discussed Live! One of the greatest films ever made about Hollywood – a legendary classic that exposed some raw truths about the movie business – and has lived on forever – was recently screened again on the bigscreen – and one of the film’s stars was there in person! This memorable screening took place on May 31, 2014 at the MILLION DOLLAR THEATRE in downtown Los Angeles – one of the golden movie palaces that has been left to decay…until now! 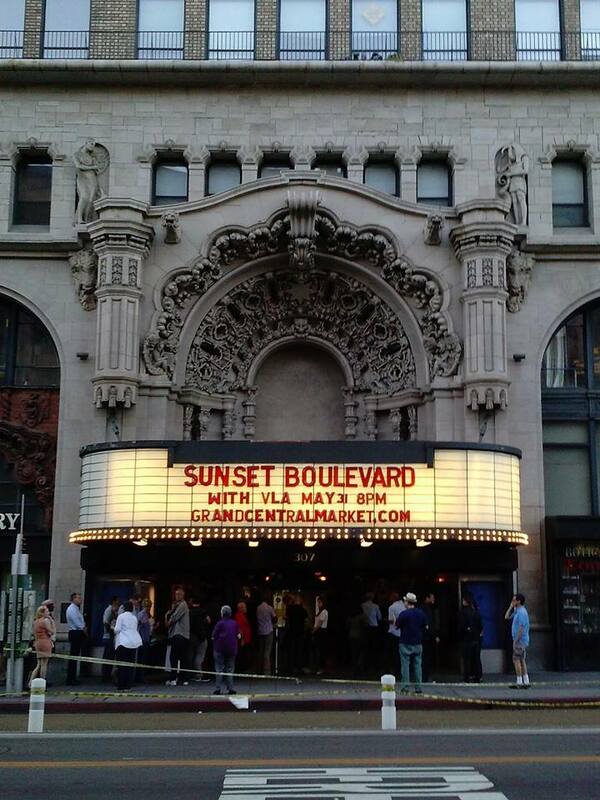 “Vintage Los Angeles” held a screening of “Sunset Boulevard” in L.A’s oldest movie palace, and a huge crowd showed up to take part! 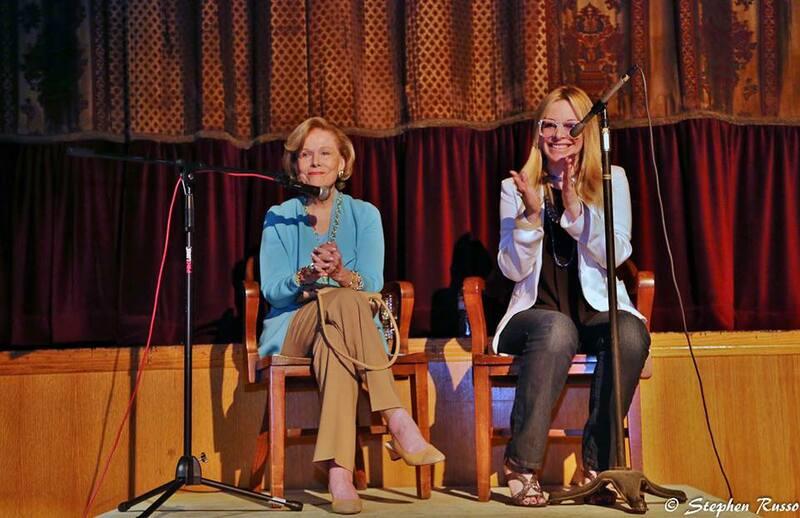 Host Alison Martino began the evening by interviewing Oscar-nominated cast member Nancy Olson! 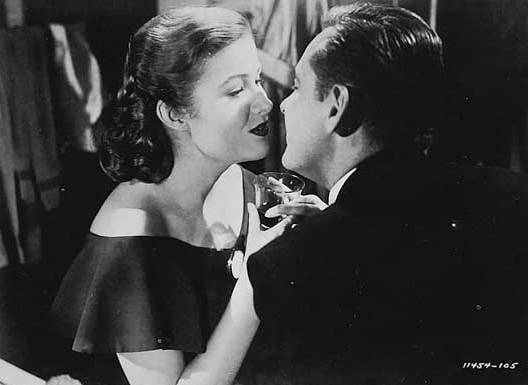 More on this illuminating conversation in a moment, including a clip from Nancy Olson herself – but first, let’s begin with a look at this timeless classic! 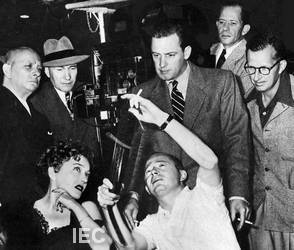 Legendary Director Billy Wilder had it all: fame, fortune, awards. All because of Hollywood. And in 1950, he bit the hand that fed him. HARD. 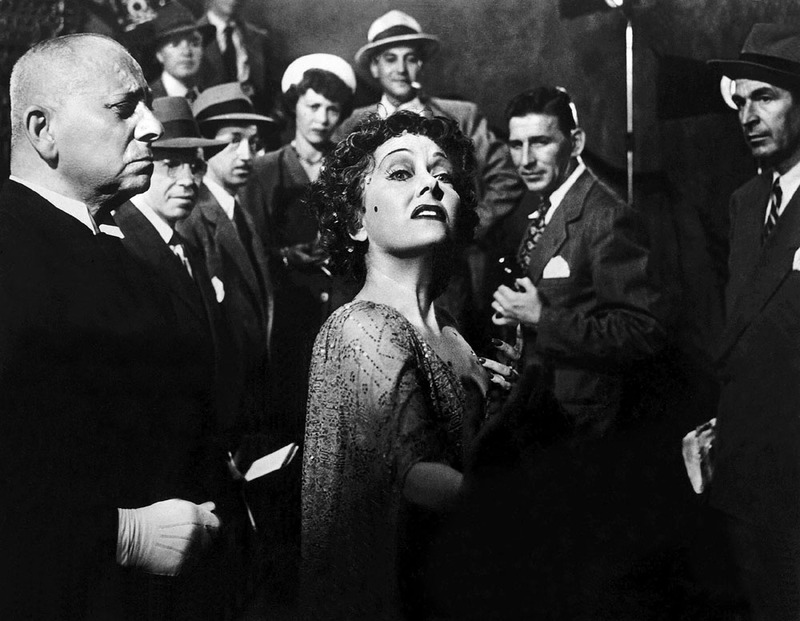 Wilder’s masterpiece, an acidic inside look at Hollywood, was called “Sunset Boulevard”, and the setup is simple: A failing screenwriter writes a screenplay for a former silent-film star who has faded into Hollywood obscurity. 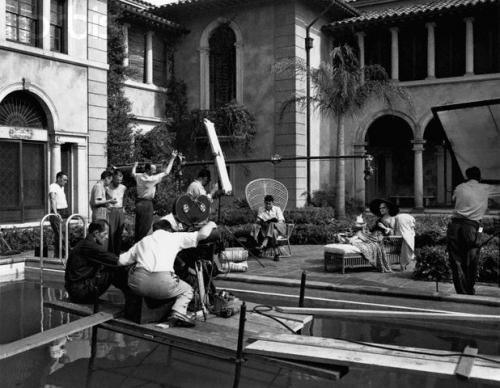 There Was No “Sunset Boulevard” Mansion! Thanks to home video and downloadable movies, this classic has been restored and will live forever. 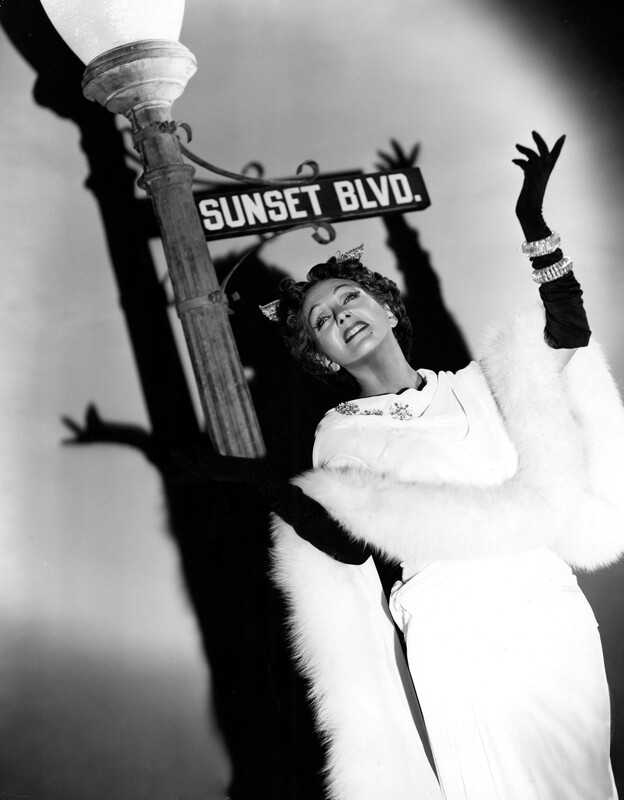 In 1998, the American Film Institute selected “Sunset Boulevard” the 12th greatest film of all time! Best Supporting Actor Erich von Stroheim and Best Supporting Actress Nancy Olson. 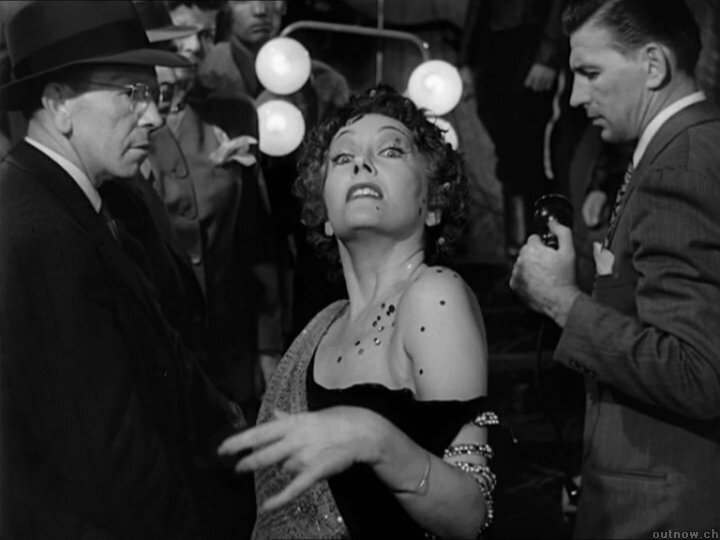 Interestingly, while it was overlooked in all acting categories as well as best picture and director, the film took home Oscars for Best Writing, Story and Screenplay by Charles Brackett, Billy Wilder and D.M. Marshman Jr. It also won Best Art Direction-Set Decoration, Black-and-White and Best Music, Scoring. 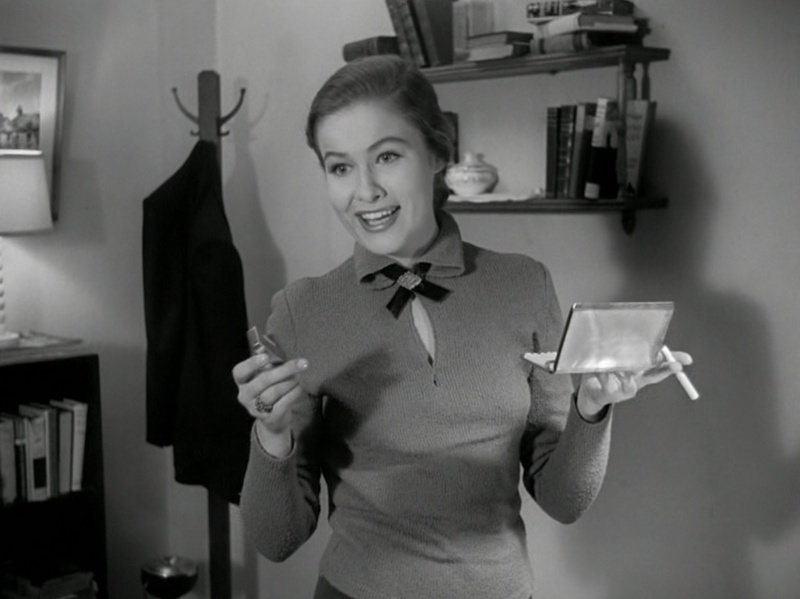 Now, a little fun trivia regarding Actress Nancy Olson. Olson was very new to the business when she got the role in the film. This was only Olson’s third movie role. 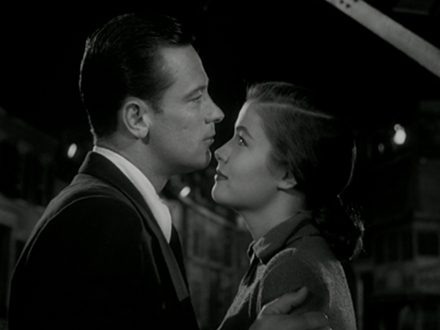 As a practical joke, during the scene where William Holden and Nancy Olson kiss for the first time, Billy Wilder let them carry on for minutes without yelling cut (he’d already gotten the shot he needed on the first take). Eventually it wasn’t Wilder who shouted “Cut!” but Holden’s wife, Ardis (actress Brenda Marshall), who happened to be onset that day! Nancy Olsen Attends The Screening! On May 31 there was a screening in downtown LA, put on by the terrific group “Vintage Los Angeles”. This group’s goal is to preserve classic Hollywood, and help bring attention to the plight of these abandoned movie palaces like the Million Dollar Theater. The screening began with a conversation between Event organizer Alison Martino and Olson. There was a standing ovation when she was introduced, and Olson quickly took control of the conversation. Alison told me afterwards that she had 50 note cards of questions, but Olson quickly took over and mesmerized us all! 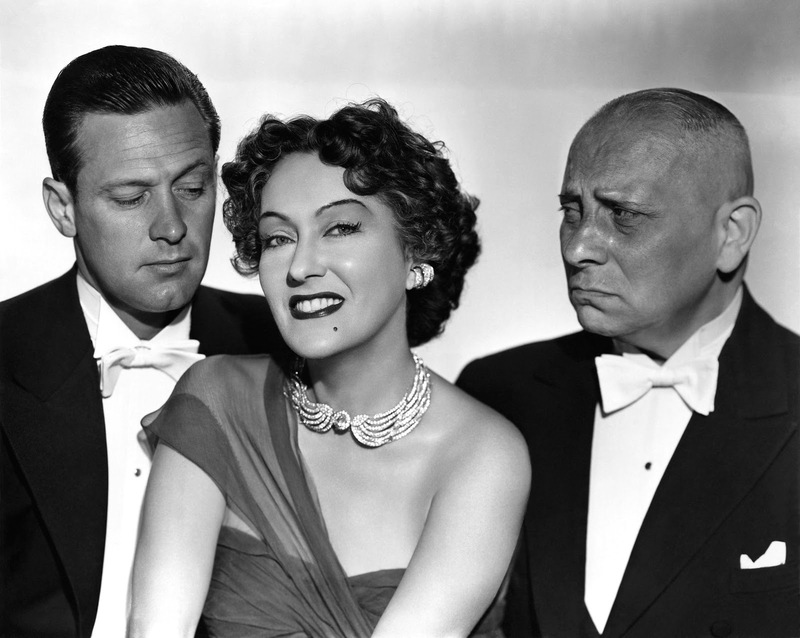 Olsen told great stories about working with “Bill” Holden – they ultimately did four films together…and how the story of “Sunset Boulevard” was Holden’s story as well – he had been a star before the war, only to return from duty to find that Hollywood had passed him by. It was Wilder’s casting him in this film that saved his career! Olson also told the story of how Director Billy Wilder rejected all of the wardrobe choices for her in the film, finally telling her to wear what she she had on in the office the day before – yes, her own clothes! So what she wore in the film were all her own clothes! Wilder wanted her to look like a young struggling Artist, and that in fact was what she was at the time! At the end of the conversation there was another long standing ovation for the Actress, and then it was time to see this classic once again on the big screen! The audience laughed at the film’s most iconic and ironic dialogue, and sat transfixed throughout, with another sustained round of applause at the end of the film. The screening was all due to the hard work and dedication of Alison Martino! This page was created to celebrate Los Angeles and YOUR history living it. Feel free to post your own personal photos or your favorite monuments and places. Many of our landmarks are disappearing so let’s remember and take a step back. It’s about YOU and your memories. 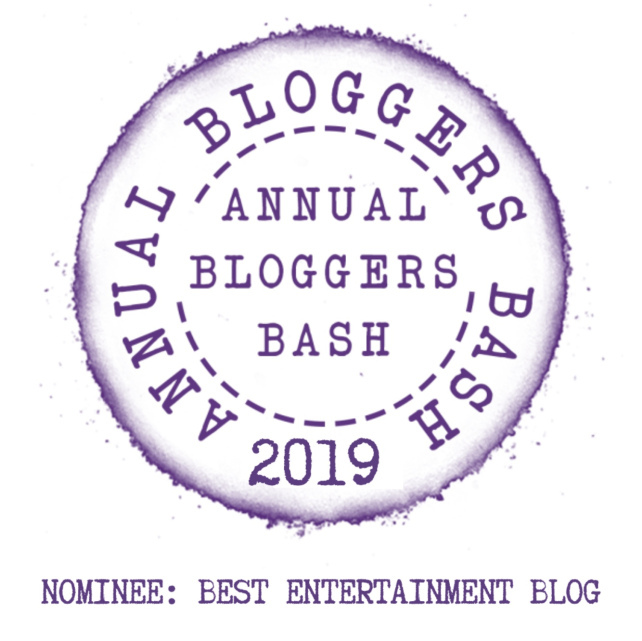 So fire up those scanners and go through those scrapbooks and help us document history! 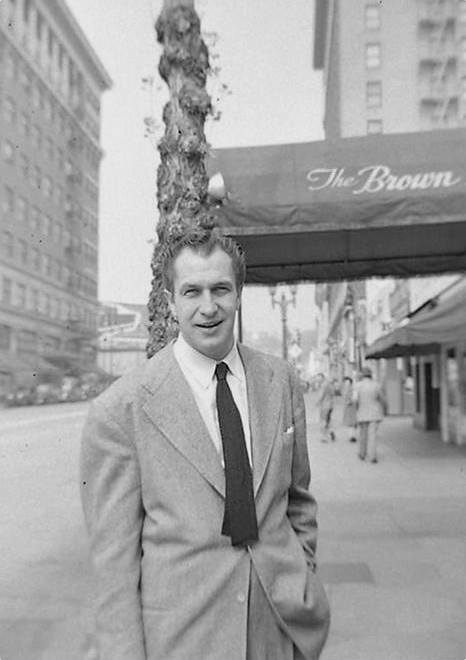 The “Vintage Los Angeles” Facebook page was created by Martino as a destination for classic photos like this one: Vincent Price standing outside the Brown Derby restaurant on Hollywood Blvd in the 40’s – amazing Hollywood history being preserved by fans…I love it! And look for more great screenings from Vintage Los Angeles that celebrate the golden age of entertainment! ‹ Klute! The Late Show! Electra Glide In Blue! Three Obscure Film Noir 70’s Classics! 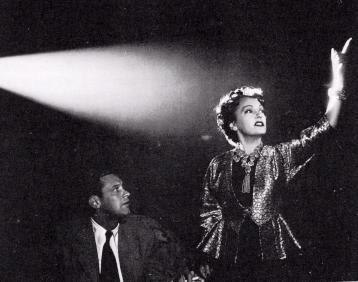 I had never seen “Sunset Boulevard” on the big screen because it was years before I was born, but having it screened at the scrumptiously elaborate. 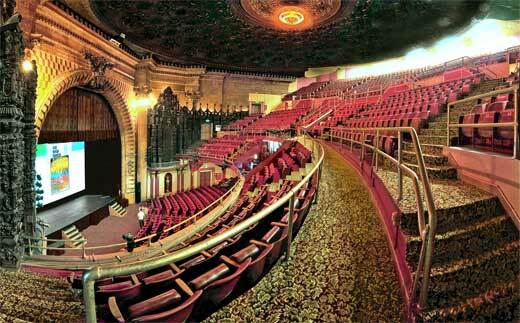 massive & daunting Million Dollar Theater, built in 1918, was the perfect place for the tone of the film. I thought Miss Martino orchestrated the evening with professionalism and respect to Nancy Olson, who shared interesting facts none of the audience probably knew. I feel because of Alison’s sensitivity & intuitive opening questions, it made Nancy feel comfortable enough to grab the mic and flow & spill it all out…The whole Q & A was refreshing, honest, and feel style interviewing at it’s best. 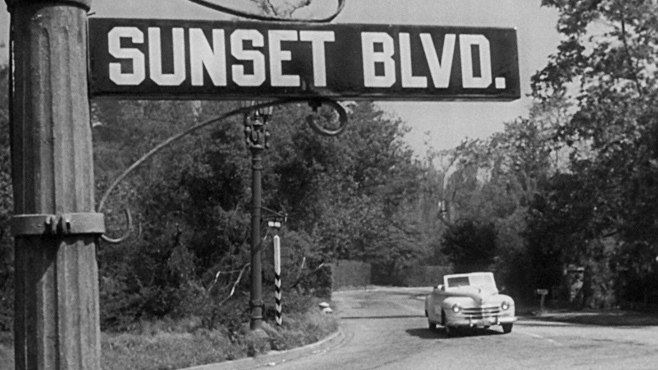 I would go to any of Alison Martino’s screening and Vintage LA events because of what I experience with the “Sunset Boulevard” screening. Thank you for commenting – you are right in every way! I love that old movies can be discovered by new audiences, which helps keep vintage Los Angeles alive!